B. 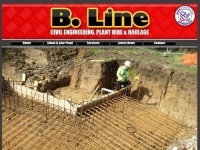 Line Plant Hire near Southam, Warwickshire offers a vast range of services to civil engineering, plant hire, haulage and construction industries. Based in Napton, Warwickshire for over 30 years. Making the earth move for you!